OXEYE DAISY plugs (leucanthemum vulgare) from Wildflowers UK. Oxeye Daisy- Leucanthemum vulgare is sometimes known as the Moon daisy and is a familiar wildflower of meadows and roadsides. 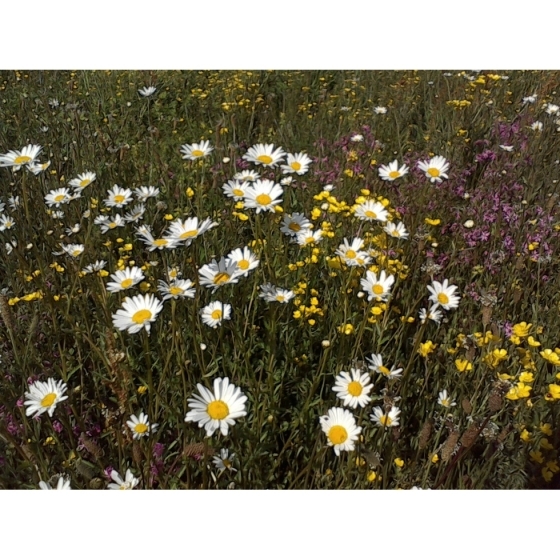 It is an excellent general-purpose meadow plant being well suited to all wide variety of soils and although they look best growing in full sun, can also be grown in dappled shade. When sown as part of a meadow mixture, Ox-eye daisies are often one of the first flowers to appear, in the first or second year. Initially it is not uncommon for them to dominate a meadow as other more slow growing plants begin to establish. 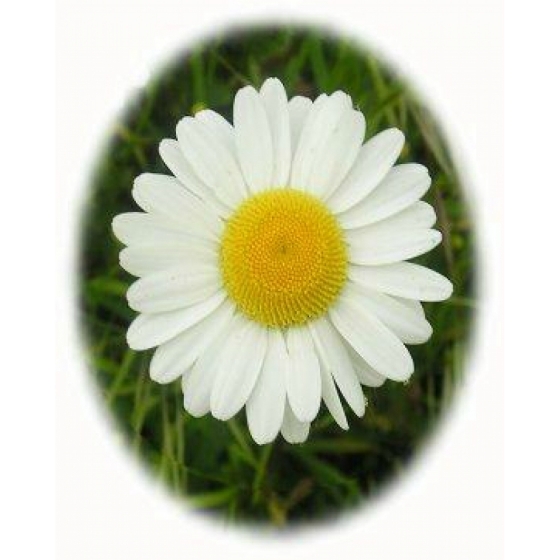 Oxeye daisy plants have large showy white flowers with a central yellow disc. The blooms appear from May to September, and blend particularly well with other meadow plants. In the wildflower garden Ox-eye daisies can be planted in grass or flower borders and are particularly well suited to cottage gardens. Oxeye Daisy plants look best grown alongside other summer flowering wildflowers such as Musk Mallow, Meadow cranesbill, Knapweed, Scabious, and Birdsfoot trefoil. 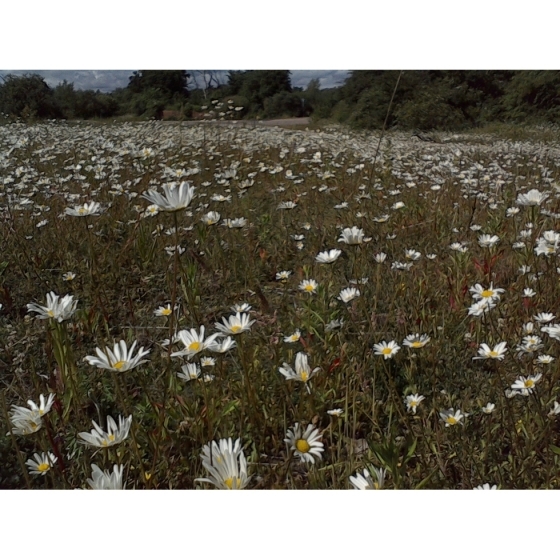 Oxeye Daisy plants can be introduced to their permanent planting positions from late spring through to October. Initially they should be kept well watered, and left to develop for several months. When planting into established grass it is advisable to first cut the areas where the wildflower plants are to be introduced and create a small bare area up to several inches around each planting position to reduce initial competition. 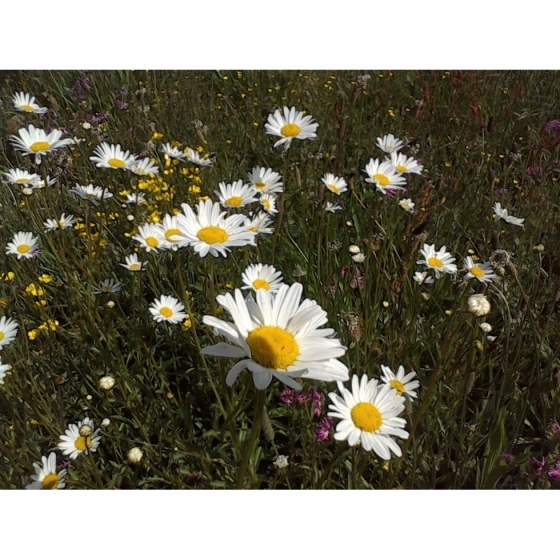 Given the right conditions Oxeye Daisy will develop quickly into flowering sized plants. A few Yellow rattle seeds sown around each plug may also be of benefit in the long term by reducing competition from grasses.